Multi Theft Auto is an open source multiplayer expansion for the most popular part of the GTA series which is GTA: San Andreas. Just like GTA Online, Multi Theft Auto makes it possible for players to interact with each other. That way they can mutually enjoy the classic and compete in missions with or against each other. 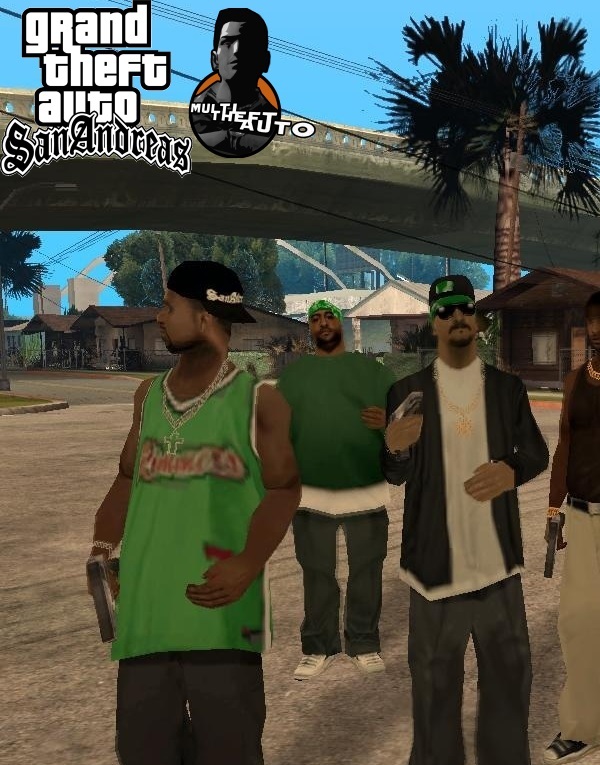 With more than 10,000 players daily, the expansion manages to prove that San Andreas is still not dead yet and is a great game to play til today. If you want to set up your own Multi Theft Auto community, our prepaid game servers are offering just what you need to be successful. Our web interface bestows you easily manageable tools so you can change all settings within a few seconds. And using your free FTP access allows you to expand your server with Lua scripts directly from your Desktop, so you can create a roleplay server for example.